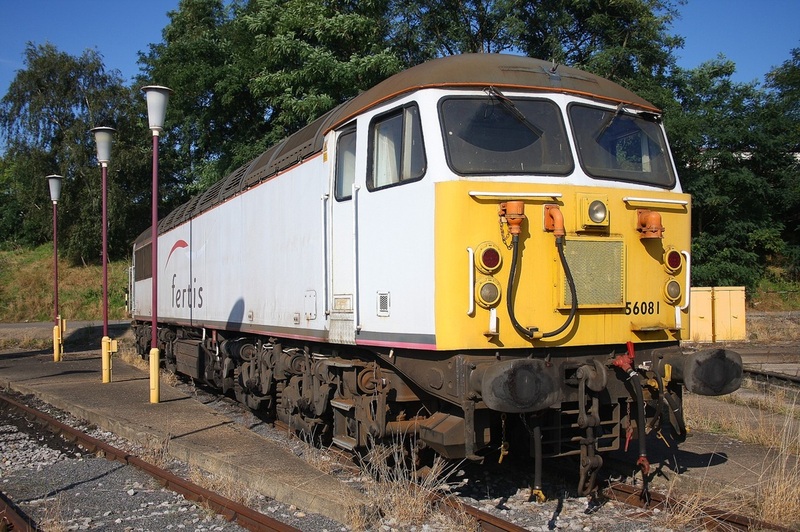 On the 14th September 2008, Fertis liveried 56081 awaits its fate at Old Oak Common depot. 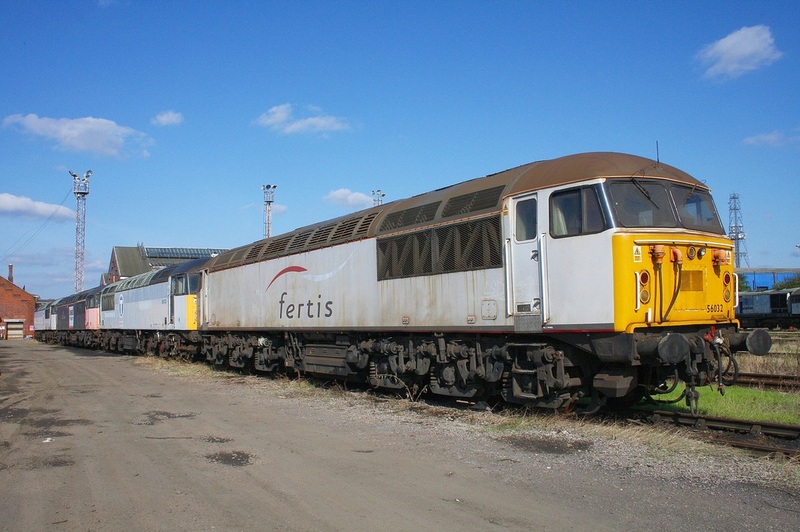 On the 14th September 2008, Faded Fertis liveried 56113 is photographed at Old Oak Common. 56051 and 56081 are the grids parked behind. A colourful combination at Old Oak Common on the 14th September 2008, as Fertis liveried 56032 leads a storage line of 56133, 56113 and 56070.